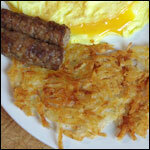 Cook and crumble sausage in a skillet over medium-high heat. 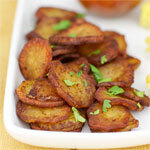 When cooked through and no longer pink, drain out the excess oil and add the beaten egg. Season with salt and pepper. Stir and cook until the egg is fully set. 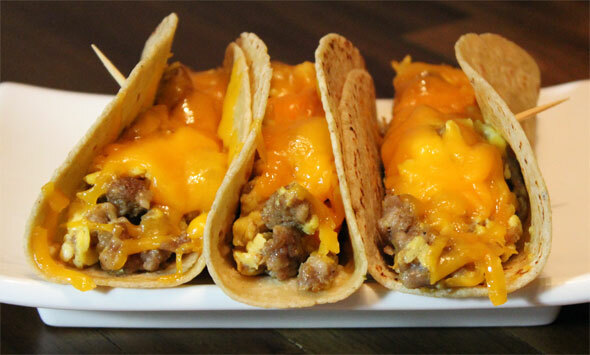 Warm soft taco shells in oven, then fill with the sausage and egg mixture and roll up. Sprinkle the cheese on top and put into broiler until cheese is melted. I stuck to the recipe as submitted, except I warmed my tortillas (soft taco shells) in the microwave by putting them in a damp kitchen cloth and microwaving at 50% power for 70 seconds. 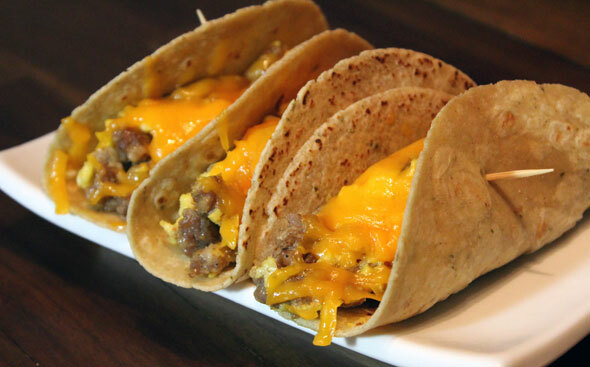 Instead of rolling up the tortillas, I filled them like traditional tacos. They were able to hold a lot more filling that way. 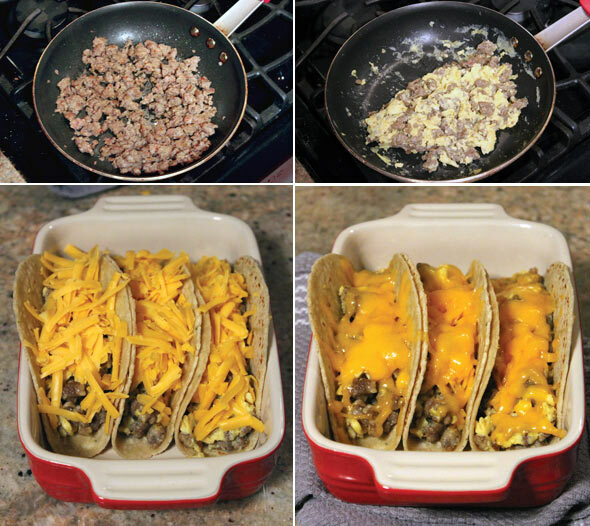 It only takes four ingredients and some salt and pepper to make these breakfast tacos. 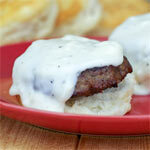 I like to use a spicy turkey sausage, but any ground sausage will work. 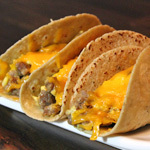 What do you think of Sausage Stuffed Soft Breakfast Tacos?